When Jen McCabe moved to Shenzhen, China, to help startup Romotive manufacture its Romo robot, she discovered that production is not as simple as showing up to a factory with a product design. McCabe’s newest venture, Factorli, is meant to solve those manufacturing barriers that haunt even the best hardware startups. Right now, early-stage hardware startups commonly build their products by hand. When demand outstrips what they can do in house, they begin the process of outsourcing the work to a factory. But right now it really only makes sense to take the work to a factory if you need tens of thousands, or ideally hundreds of thousands, of units. 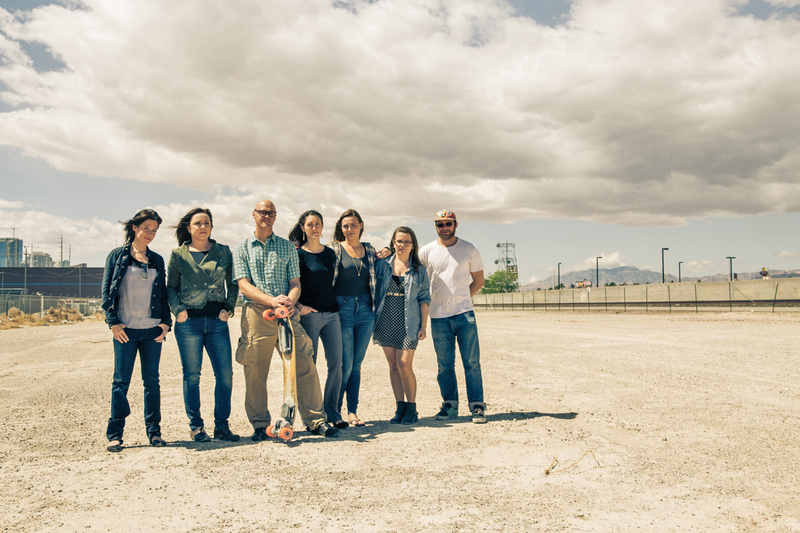 The Factorli Team. Photo courtesy of Factorli. Factorli is aimed squarely at startups who need up to 10,000 units — basically any company that completes a crowdfunding campaign. That has traditionally been a dangerous place for a startup to fall, creating pressure for startups to leap from 1,000 units to 50,000. As a result, many startups fail in this scale-up. Factorli’s 25,000 square foot space doesn’t look much different from a traditional factory. It uses the same industrial-grade robots and machines. As a result, it’s not necessarily less expensive per unit. What is different is all of the machines are connected to the cloud. When an order comes in, the system will automatically determine the best time to manufacture it and what machines to use. 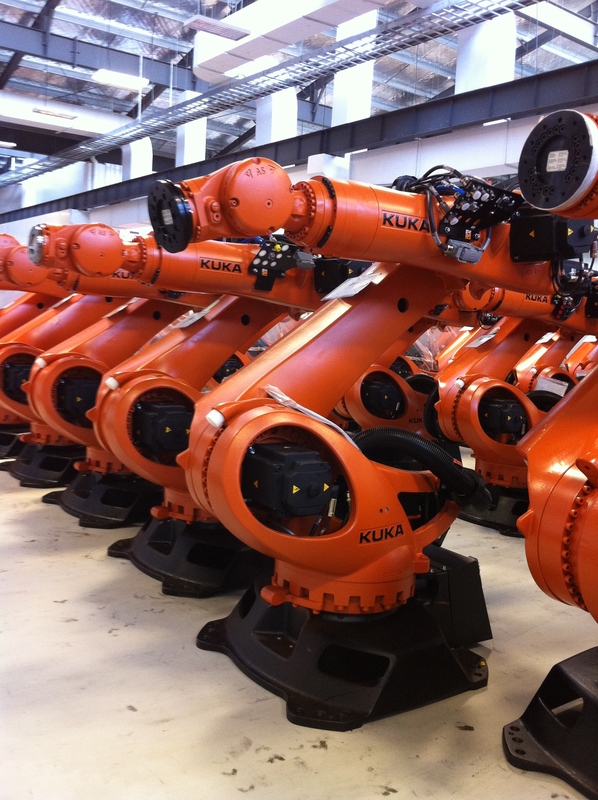 Kuka Robots that will be installed at Factorli. Photo courtesy of Factorli. The result is the time to manufacture something goes down while quality remains high. McCabe said the factory will be capable of producing basically anything made out of plastic, metal and a circuit board. Packaging and testing will also go on there. And it’s all feasible under one roof (or, rather, the three roofs that will make up the Factorli campus). Factorli is scheduled to open early in 2015. Construction this year will be boosted by $10 million in Series A funding the startup announced today, which was contributed by Zappos CEO Tony Hsieh and VegasTechFund (where McCabe manages a hardware startup portfolio). Great concept and idea! We will certainly be interested is seeing how our clients might use this facility. We plan to follow this closely. How does Factorli handle assembly of components? It is harder to automate assembly vs the manufacturing of components. An advantage of manufacturing in China is access to a large low-cost work force. This seems to be a model that makes great sense and fills a need for early stage companies. I am very interested to see how this pans out.